DESCRIPTIONAre you an System Development Engineer who cares deeply about quality and performance? Are you known as someone who drive excellence in your teams? Do you like to innovate with new solutions to problems? Do you want to help the build the world’s premier cloud environment? Do you like helping U.S. Intelligence Community agencies implement innovative cloud computing solutions and solve technical problems? Would you like to do this using the latest cloud computing technologies? Do you understand service architectures and have a knack for improving them and making them robust? Are you the type of person that works with all teams to make operations a better place through automation and building tools? Then this is the job for you. We are seeking a talented and highly motivated Systems Development Engineer. The responsibilities include contributing to development of infrastructure foundational services, writing tools and services to increase automation for deployment and releases, building and maintaining test fleets, performing functional and regression testing on new software builds, defining and performing stress/capacity testing, and managing/monitoring production software deployments. We are looking for someone who understands services and architectures and see ways that they can improve. We are looking someone who digs in and solves the root problem with automated solutions. 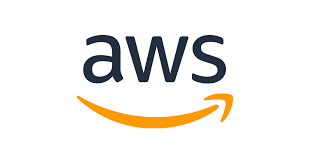 The Infrastructure Team, within the Amazon Web Services (AWS) Infrastructure group, supports fleet-wide telemetry and software tools for the server platform for our innovative web service and e-commerce technology platforms. This platform is industry-leading in terms of frugality and operational excellence, and is critical to the success of the AWS business and the thousands of customers who use utility computing today.BASIC QUALIFICATIONSThis position requires that applicant selected be a U.S. citizen and obtain and maintain a TS/SCI US Government clearance with polygraph. · Experience with security best practices in server configuration, tool development, and access controls. · All interested candidates must be prepared to work on-call. · Employment for all candidates is contingent upon pass a background check. PREFERRED QUALIFICATIONS· Knowledge of VCS (git, mercurial, svn). · Experience deploying or managing servers in large-scale, geographically diverse environments. · Operational knowledge of common enterprise switching and routing platforms.